I'm a big fan of birds of prey and, fortunately, there is no shortage of them at the nearby wildlife refuges. 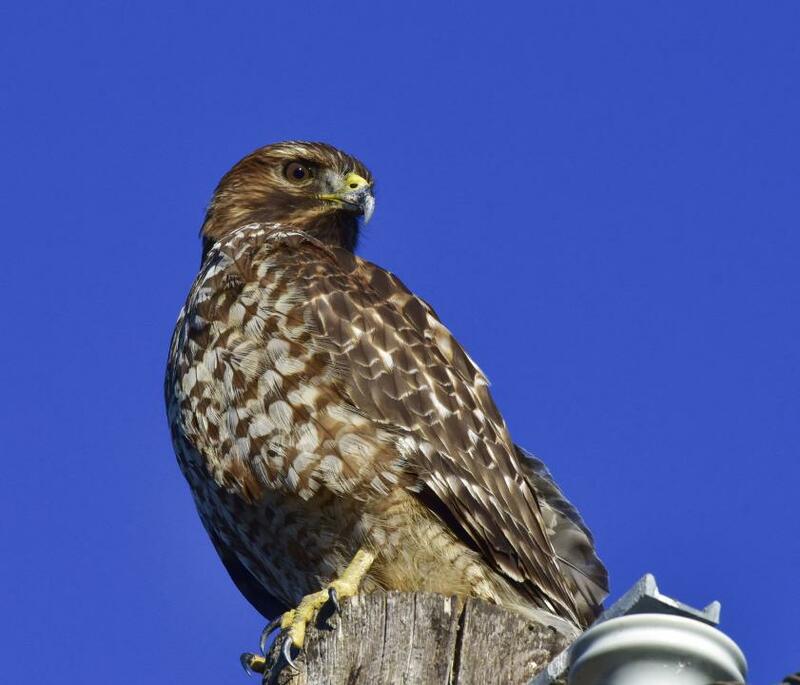 A beautiful Red-tailed hawk sat atop a power pole at the San Luis National Wildlife Refuge as I was leaving one afternoon. Intent on other things, it made no effort to move as I got out of my car and took this photo.